Each year I hope to publish a “year in review” post. Since I’ve been blogging for more than a decade, the ritual has helped me see and appreciate what happens in only 12 months. It also helps me share my journey, gratitude for everyone’s support, and the challenges I’ve faced along the way. No overnight successes here, for sure. Sharing these things are really important to me. The year in review is incredibly powerful stuff. Without further ado, here’s a look at my 2016. The documentary about N.C. craft beer premiered in April 2015. Making the movie was a dream come true, and I’m suffering withdrawal from my team these days. We had so much fun spending time with the craft brewing community; I really miss it. Huge thanks to everyone who had a hand in making and sharing Breconomy. It’s been such an overwhelming, wonderful experience. I’m sincerely humbled and grateful by the responses we’ve gotten to the film. Want to keep supporting N.C. craft beer? Check out CraftFreedom.org and learn about the distribution regulations in our state, which brewers want to change. You can sign a petition here: craftfreedom.org/petition. 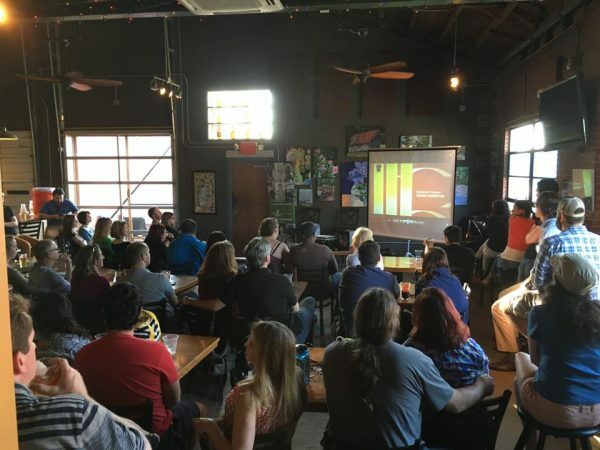 Brewconomy screening at NoDa Brewing Company organized by the Levine Museum of the New South on Tuesday, May 24, 2016. AK, for short, is a new fiction film that I wrote, produced, and directed. We shot the film in February, hustled through post-production, and submitted to a film festival in August 2016. Making the movie taught me so many great things, and it’s an experience I’ll appreciate forever. There are so many people to thank for their support of this film. I’m so grateful to everyone who had a hand in making it possible. I’ll continue digging into this film a lot more, as we start screening it. We hope to screen AK at film festivals in 2017. Please stay tuned. On the set of “AK” in February 2016. The next documentary, Good Thing, is about Shannon Johnstone and her photography project Landfill Dogs. 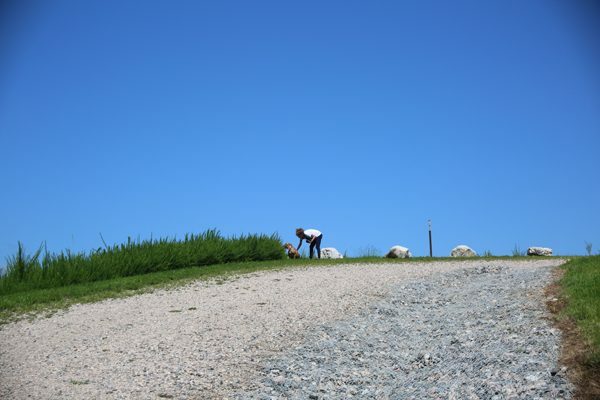 I’ve been sharing details about Landfill Dogs since Johnstone started her project in May 2013. (Read the original post about it here.) Then I made a smartphone documentary to (a) continue exploring the subject, (b) prove that you can make a movie with your phone, and (c) use the doc as a litmus test to see if there would be interest in a feature-length version since I was in the middle of making Brewconomy. Earlier this year, I was convinced I could make this into a short film that we’d wrap by the end of 2016. I was so wrong about that. With every conversation about it and attempt to keep things moving forward, it felt like something was out of alignment. I couldn’t figure out what that meant. I even screened it as a work-in-progress at Alice Fest in March, and at the Rough Cut Review at The Cary Theater in the spring. By November, I finally had a much clearer vision for the story, what funds I’ll need to accomplish that (from a production standpoint), and how to make these things a reality. The clarity feels AH-MAZING. Since then, I’ve been sharing a few blog posts about the film: how a doc gets funded, what is fiscal sponsorship and why I need it, and the need for a team (outreach, development, and impact producer). And I’ll be sharing / speaking about the film at the Meredith College Documentary Film Festival on Sunday, January 22nd, which I recently shared on the blog here. There’s a caveat, of course. Sometimes films don’t come together quite the way you’d hoped, ya know? I want to give this film the time it needs to be as awesome as it can be so if the filmmaking process extends past 2017, then we’d wrap in 2018, and screen it in 2019. It’s a little wild to think that far ahead, but it’s important to share that caveat with you. Bottom line? Good Thing is going to be an awesome film. I’m so excited about working on it, and can’t wait to share it with you! I was very lucky to be in the Meredith College magazine earlier this year. It really meant a lot to me. If you missed the article, you’ll find it here. It was an absolute pleasure to have more public speaking opportunities, too. I enjoy working with organizations to deliver a message of hope. It’s very humbling and gratifying. Talking with audiences of all ages and backgrounds about the work I’m doing is sincerely a lot of fun. I hope to do more of that in 2017. There are a lot of interesting conversations happening in the film industry right now. Many highlight the inequalities in the industry (unequal pay, lack of opportunities, etc. ), lack of diversity and inclusion, male v. female gaze, white washing, the Bechdel Test, and much more. I’ve been paying attention. I spent a lot of time contemplating my commitment to directing, what I want to accomplish as a filmmaker, and how I want to show up in the world. I’ve got some pretty big dreams, like fantasizing about directing a female-led action movie where Rebecca Ferguson continues to do her thing. There are some conclusions I’ve drawn, too, but I’ll save those for another day. What story are you uniquely qualified to tell? A lot has happened with the TriFilm Society! 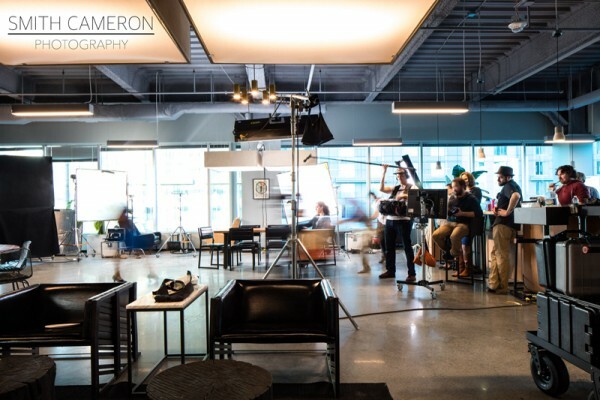 If you’ve been following this blog for a while, you know that TriFilm started in 2009. We made some significant shifts in 2015, in order to better serve my fellow filmmakers (the goal from day one). Over the last 12 months, a lot of things have happened. One thing you’ve probably already notices is that conversations about TriFilm rarely happen here anymore, as they have moved under the TriFilm umbrella: blog, social media channels, email list, etc. In fact, this week I published the TriFilm Society’s 2016 Year in Review. It’s amazing to see all the things we tackled in one year. Please go check it out. What’s next for TriFilm? I’ve been working on a lot of big plans for the next year, and I’m really excited about it. 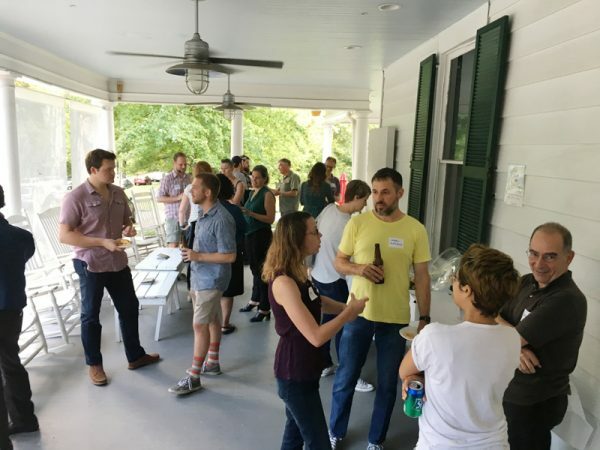 There are a few planned posts about our vision for film in North Carolina, and what we’re doing every day to bring that idea to fruition. If you want to follow along or get involved, be sure to sign up for free email updates about the TriFilm Society here: trifilmsociety.com/email-list. A big goal for 2016 was more quality time (QT) with loved ones. At the end of 2015, I mapped out the entire year and color coded each activity. (It’s part of an annual planning event, which I shared on the blog recently here.) 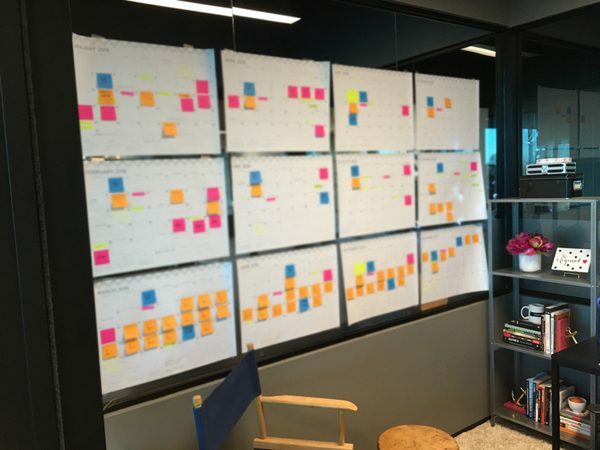 The sticky notes in pink were fun activities: birthdays, trips, concerts, and date nights. Yes, I’m becoming a full-fledged planning nerd and I’m proud of it. Because, baby, it delivered the results I wanted! At the end of 2015, I mapped out the next 12 months and color coded each activity. There were so many fun things that happened this year, and most of that involved QT with loved ones. Derek and I celebrated our third wedding anniversary this year, which kind of blows my mind. I don’t know how time passes so quickly. We celebrated in Asheville again, which is where we honeymooned in 2013. The trip included lots of craft beer, farm-to-table food, and very chilled sight-seeing. 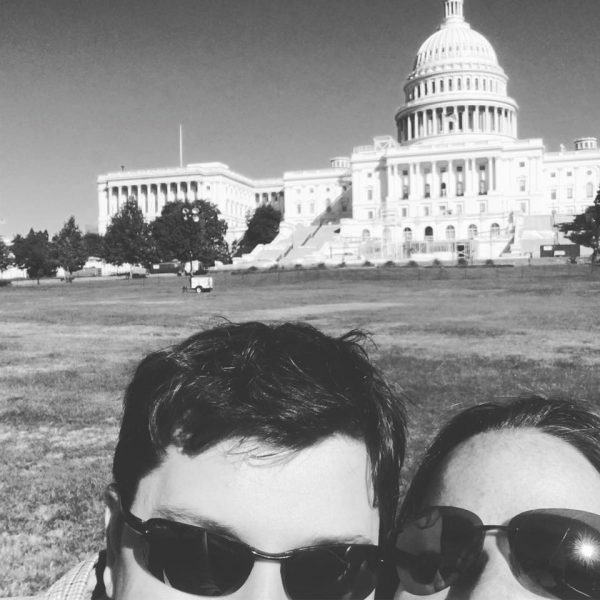 Derek and I went to Washington, D.C., in October 2016 to see the sites and attend Adele’s concert. In October, we traveled to Washington, D.C., stopping in Richmond, V.A., at a few craft breweries. We went to museums, drank craft beer, and chilled. We were in town for the Adele concert, which did not disappoint. That woman is incredible. We also watched the third presidential debate in D.C., which was pretty cool. There were lots of lovely memories made with friends this year: concerts, trips, birthdays, holidays, parties, tailgates, etc. Some friends had babies, others had loss in their lives, and there were a few engagements as well. It was so rewarding to be more physically and mentally present this year. To each of my friends and family members, thank you for the time we spent together in 2016! It was so lovely, and so good for my heart. My dog was diagnosed with cancer in April 2016. I haven’t shared that news publicly until now, although a few people asked about it in person. That’s mostly because I’ve been dealing with it as best I can, and wasn’t ready for any outside response to the news. We’ve been taking our dog to the vet for treatments on a regular basis. He’s in good hands and getting lots of extra love, treats, and attention. When I find the words, I’d like to write a few posts about my boy and what he’s taught me about life, love, and filmmaking. For many, many years I was pretty desperate for a healthier balance in my life. I went through really big life changes all at once (work, marriage, moving multiple times, etc. ), which nearly crushed me. Freeing up some time to follow my dreams became crucial to my overall well-being. In September 2015, I made the decision to become a full time filmmaker. Quitting my job was challenging because I enjoyed it. (Seriously, it was a lovely job.) If you feel like you missed the memo on going full time, you can revisit the blog post about it here. The 14 months following the decision have been a wild ride. I’ve been working, hustling, experimenting, failing, and discovering a lot. It’s uncharted territory, and that comes with a whole heap of personal junk: mindset stuff, self-doubt, extreme highs and lows, glorious victories, and really tough conversations with people who don’t “get it”. At the end of the year, I’m very proud to say that I’ve gotten used to the “new normal” and am finding my sea legs. I’d been working myself silly for so many years that I kind of lost myself in the stress, which is no good. Now I know what I want, how to make it happen, and steps towards the goals. There’s a refreshing new attitude about it, too. It’s lovely. Survival mode seems to have come to a close – at least for this phase of my life – and for that I am incredibly thankful. Do you do an annual year in review (not including the auto-generated video on FB)? What happened in your world in 2016? Want to celebrate any wins? I’d love to hear them! What would you like to hear from me in 2017? A lot’s going on, and sometimes it’s tough to share everything here on the blog like I used to when I first started. I wanna make sure that what I share is most interesting to ya. So speak up and ask questions; don’t be shy! Film fests + warmer weather? Yes, pls.